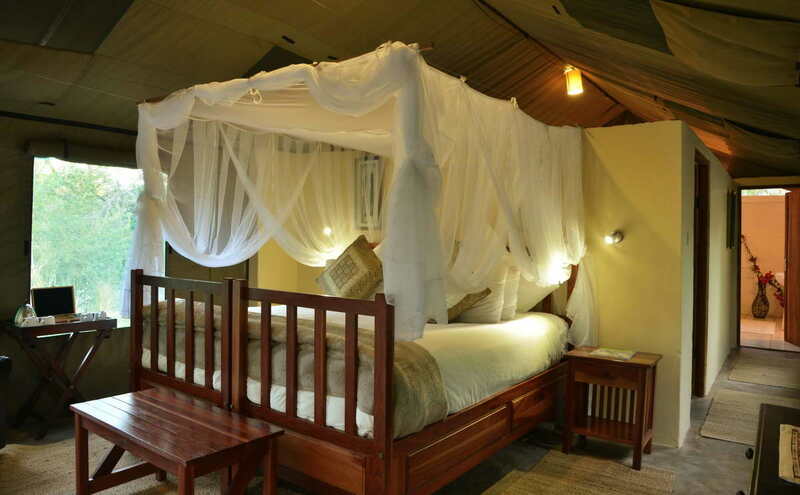 Located in the Lesoma Valley in the Chobe District. 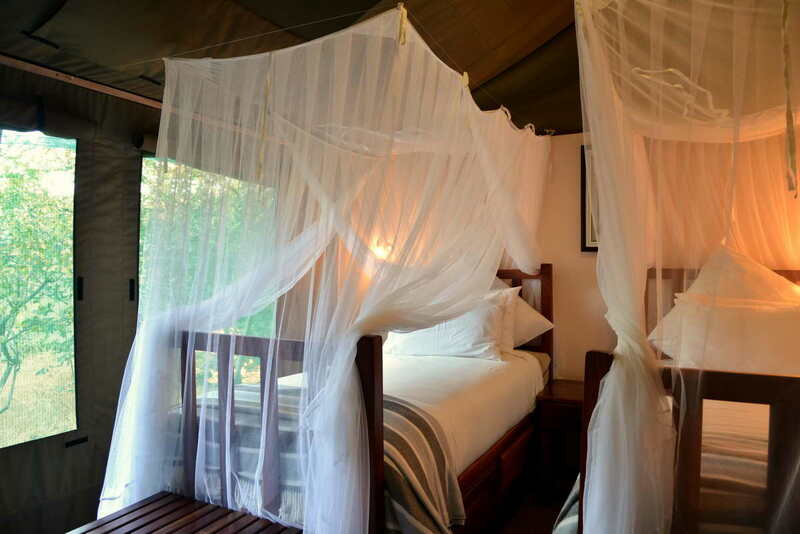 At Elephant Valley Lodge guests will enjoy activities including daily 4 x 4 game viewing safaris and boat cruises along the Chobe River in Chobe National Park. Day trips to the Victoria Falls either in Zambia or Zimbabwe can easily be arranged. The Lodge has 20 spacious accommodation tents with tea and coffee making facilities, fan, electric blankets in winter, hair dryers, charging points plus en-suite shower and toilet. 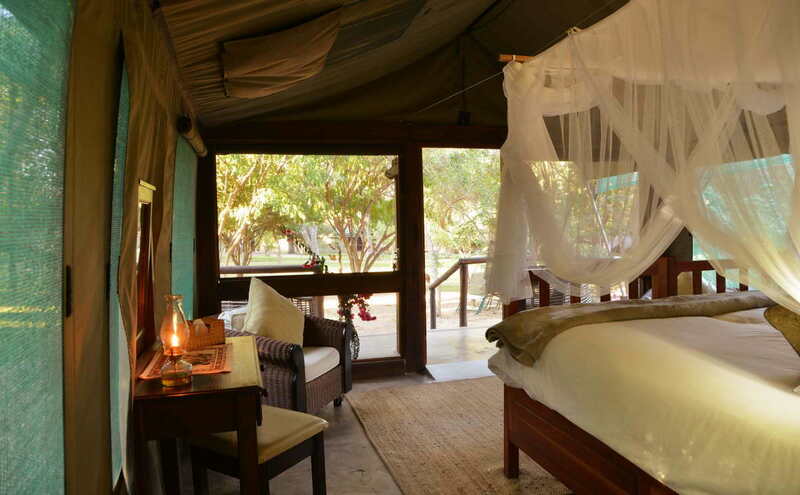 Eight tents have views over the valley towards the water hole and twelve tents are nestled around the lush forest lawns and swimming pool. 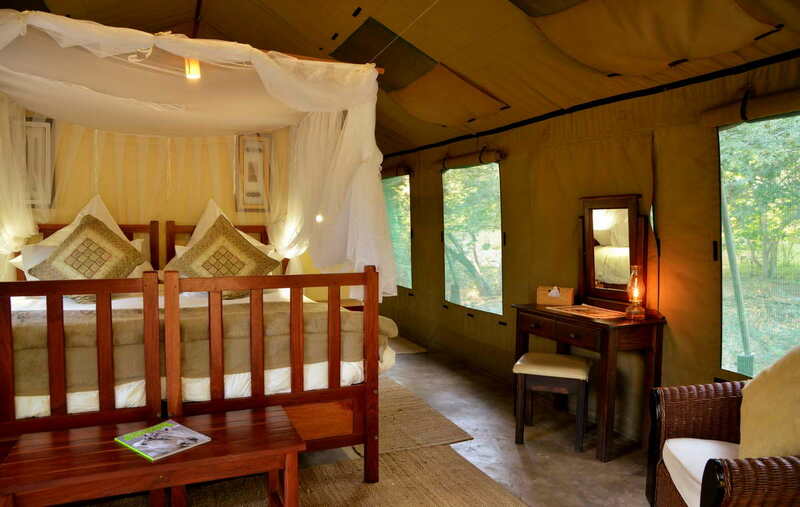 Sturdy acacia trees form large canopies of shade over the main communal areas and forest tents. The new rim-flow pool is perfect for a refreshing dip and relaxation on the sun loungers. 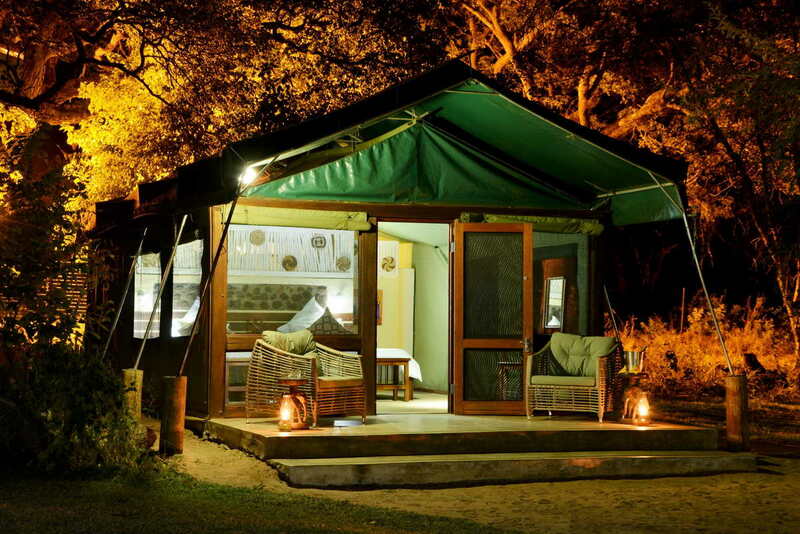 A traditional out-door ‘boma’ serves evening meals and a game viewing platform brings you closer to the valley’s wildlife­. An attractive open lounge with bar and upper viewing deck is connected to the dining areas. 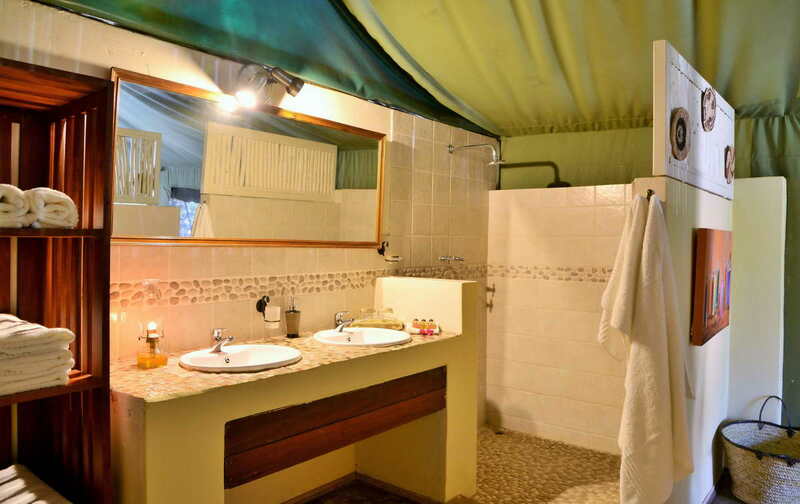 All these facilities have magnificent views over-looking the valley and water-hole. 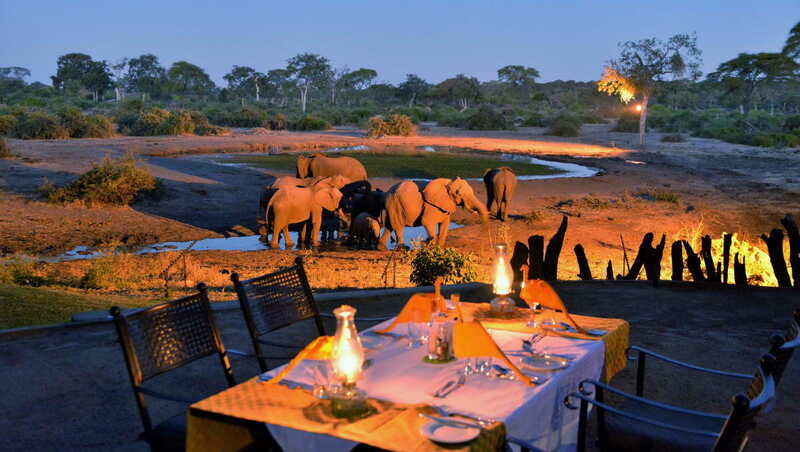 The waterhole attracts a wide variety of game, particularly elephant, but also giraffe, buffalo, antelope such as waterbuck and kudu, warthogs, honey badgers, jackal, mongoose, predators including leopard, lion, hyena, wild dogs and many more species. There is an attractive open lounge, bar and upper outside viewing deck. This connects to an under-cover dining area with an outside dining deck. Sun loungers, day bed and comfortable seating surround the rim-flow pool. 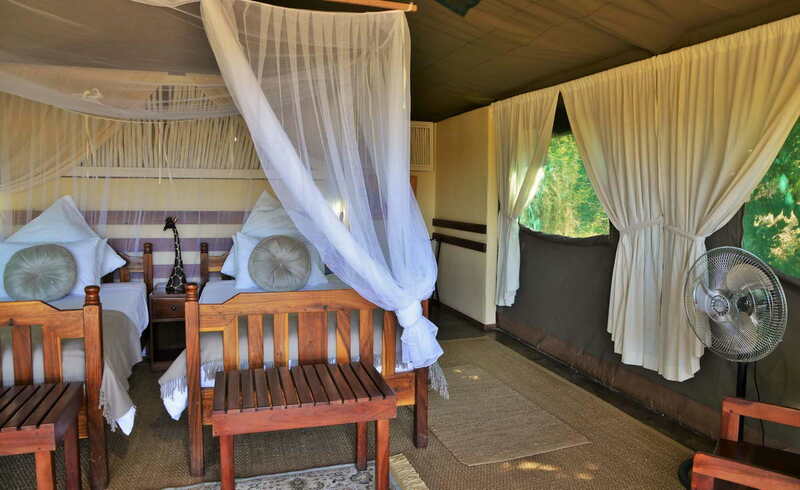 Paths from here lead to a game viewing platform and a traditional out-door ‘Boma’ where evening meals are often served. All these facilities have views over-looking the valley and water-hole which attracts a wide variety of game, particularly elephant. 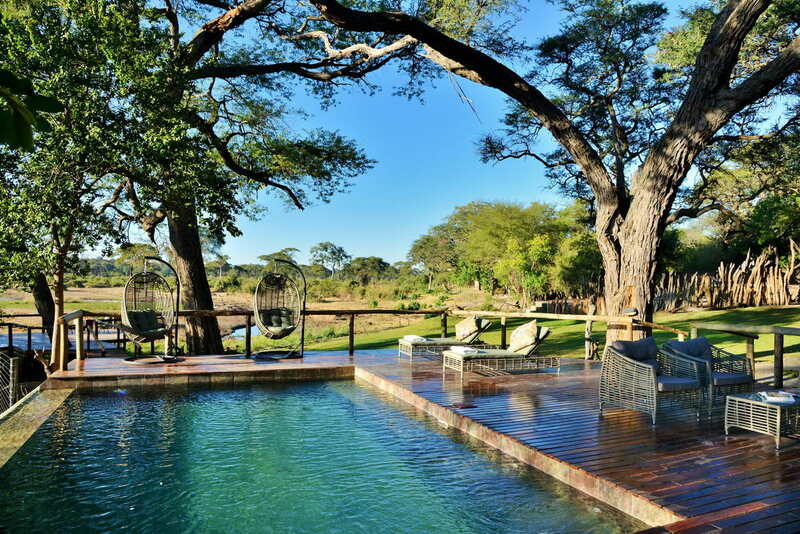 In the forest area surrounded by lawns and acacia trees, is a second swimming pool. 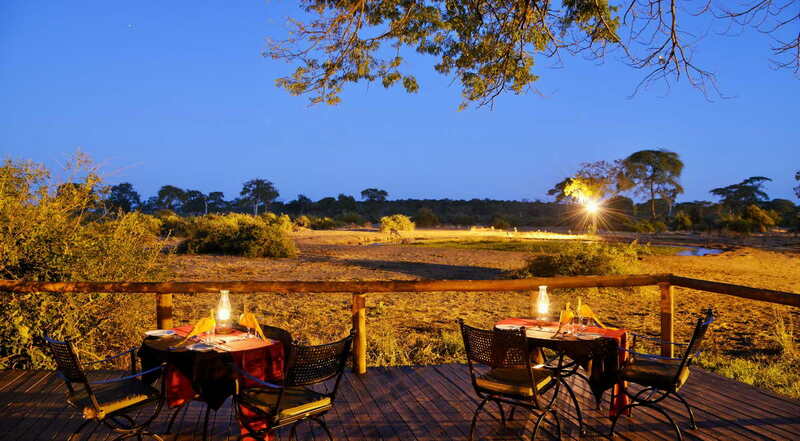 Freshly prepared meals are served in several locations, all of which overlook the waterhole which attracts an abundance of animals. Breakfast is served at different times of the morning depending on the time of your morning activity. Lunch is buffet style, and usually includes a variety of tempting salad dishes, choice of meats and home-made bread, and is often served on the outside dining deck. 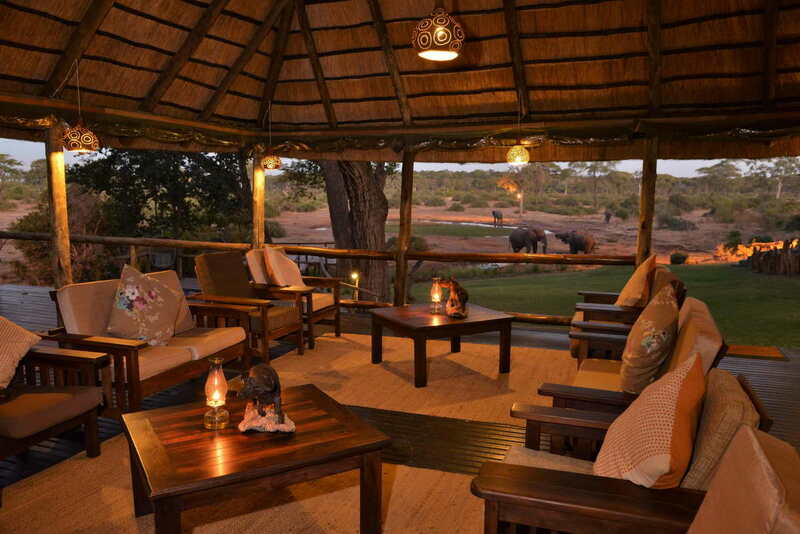 The ‘boma’ is a favorite location for evening meals, with a welcoming campfire. Starters and desserts are plated and main courses may be plated or buffet-style on ‘braai’ nights. Game drives offer opportunities to see and photograph the stunning range and concentration of wild life that the Chobe National Park and is famous for. As you drive along the river bank looking for fresh tracks, our experienced guides are able to interpret the bush signs and track the animals that left them. Being the first observers at a special sighting is very exciting. Game viewing is a perfect way to spend your time in the peace and tranquillity of the early morning or the late afternoon. The Victoria Falls, either on the Zimbabwean and Zambian side, are only about an hour’s drive away from the Lodge and a day trip can easily be arranged, either prior to or after arrival at the Lodge. A visit to the Victoria Falls should not be missed; it presents a spectacular sight of awe-inspiring beauty and grandeur. 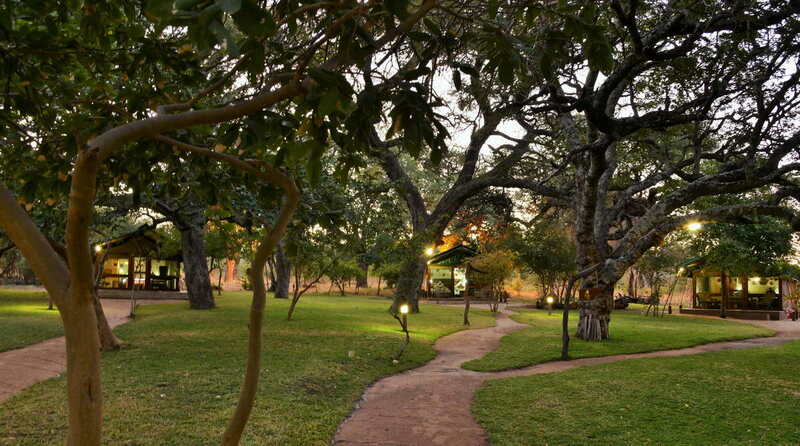 Guests depart the Lodge after breakfast around 8:00 and arrive back at the Lodge before 18:00.